Remember a few years ago we thought the game was done for? and it would never see the light of day ever again? Well surprise surprise PAX 2010 had a huge surprise for Duke Nukem fans EVERYWHERE across the globe, they not only bought the dead back to life but are making him come on a console near you as well! That’s right, Duke Nukem Forever is also heading to the PS3, XBOX 360 and even the PC. 2K Games has made it official. Duke Nukem Forever is alive and, well, in the hands of developer Gearbox Software, confirming our earlier reports that the Borderlands studio was helping to complete the game’s absurdly long development cycle. Given Duke Nukem Forever’s epic development—it was first announced in 1997 as a sequel to Duke Nukem 3D—it might be wise to hedge on the later of those two release windows. Gearbox and 2K will be showcasing the game to press and the public at this weekend’s PAX convention. 2K Games is offering a publicly playable demo of Duke Nukem Forever at its booth. 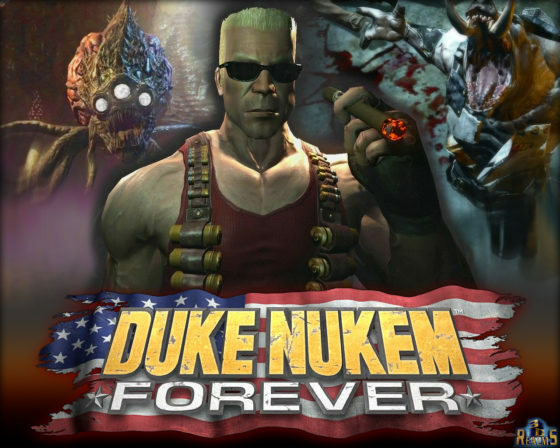 After more than a decade in development, Duke Nukem Forever all but ended its production after the collapse of studio 3D Realms. Gearbox Software president Randy Pitchford tells the WSJ that his studio picked up development in late 2009 and that the game is currently in the “polishing” stages.